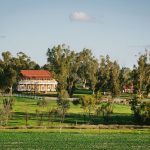 One of our favourite wedding venues in Perth would have to be Lamont’s Bishops House. This old beauty has everything you need for a lovely wedding all at one convenient Perth city location. Our lovely client Sarah and her beau Warrick chose to have their ceremony in the rose garden and reception in a clear marquee out the front. Here are a few words from Sarah about our wedding planning and on the day wedding coordination services – LOVE HER! I hope your both well. 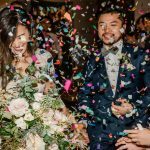 I’ve been meaning to get in touch with you and all of our amazing suppliers from our wedding day to say a BIG thank-you and show our appreciation. It’s only taken me just over 4 months to get around to it lol. 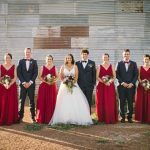 Firstly I cannot thank you both enough for taking care of Warwick and I in the lead up to our big day, the support and service you provided certainly made for a very stress free bride to be and allowed Warwick and I to fully enjoy our wedding day. Holly, Thank-you is the least I can say for everything you did on our wedding day, the whole day was perfect and more than I ever envisioned for my wedding day, you delivered everything we had planned and more. The whole day ran so smoothly, Warwick and I discussed afterwards that we wouldn’t change a thing and so glad we made the decision for Confetti & Co to coordinate our wedding day. I’ve had soooo many beautiful compliments from family and friends to the lady who was in charge of everything (Holly) and all of our guests had such a great day/night. So thank-you once again! And were so pleased we had the opportunity to work with you! 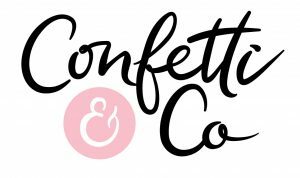 I would highly recommend Confetti & Co to any friends or family needing assistance with event planning. I know you’ve seen a few of our photos already but I’ve attached a few (heaps) more of our professional photos. Amy Skinner – Fine Art Photography was our photographer on the day and has done a beautiful job at capturing our day. « New Grazing Table Menu!